HP entered the 3D printing scene with its Multi Jet Fusion technology capable of printing 10 times faster, and which is 50% less expensive than current printing systems. The entry into the 3D scene with its Multi Jet Fusion technology is likely to change the whole 3D printing landscape. Hewlett-Packard is known for a wide range of computing products and especially its line of LaserJet and inkjet stand alone and network printers, multifunctional printers and scanning products. They provide imaging and printing services for individual consumers, small, medium and large businesses. The world’s multi-billion dollar, printer manufacturer says their Multi Jet Fusion 3D printing technology is capable of mass production of parts. This 3D Multi Jet Fusion printer, roughly the size of a washing machine, is 10 times faster and 50% cheaper as compared to the 3D printers in the market. It will also include a large spectrum of colors and materials. Designs will include almost all material’s printing including metal, plastics, ceramic and much more. Samples created out of the HP Multi Jet Fusion printer, are better and of higher quality in addition to being fast, high quality, high detailed prints and presentation of colors. This amazing printer uses massive 3D print heads, of which each can use about 10,000 nozzles concurrently time. And the printer is capable of spraying 350 million drops of thermoplastic or any substance, per second. This is done with precision and has the capability of producing about 1000 gears in three hours. The Fusion uses an exclusive printing method which HP calls the “Thermal Inkjet Arrays” that applies multiple liquid solutions concurrently to create a preeminent precision, elasticity and stability in all three axis course. The Multi Jet Fusion will produce the best quality when it comes to hi-resolution and vigorous designs. Although 3D printing has been there since the 1980’s, the rapid prototyping method is now highly improved with the collaboration of HP’s 3D printing technology. It will not only speed up the prototyping process but also help in casting of millions of equipment parts and components. The manufacturing sector and in general all consumers will stand to help with efficient, flexible and cheap 3 D printing solutions. This will definitely save time and cost in inventory and wasted items. With the use of the CAD software, modifying a defective part is easily done with just a click of a button. Ford and Airbus, two of the multi-billion dollar, multinational companies have incorporated the 3D printing technology in most of their products and parts for years now. Industries and businesses will also benefit from this technology as it can also create a design where a variety of colors can be presented and applied. Not only will it modify the part and components itself, but along with its form, texture and strength where other 3D printing systems could not do. When it comes to speed, practicality and quality, the Multi Jet Fusion of HP will change the nature of the production in machines, industrial designs and concepts. The way on how the 3D printing technology will make manufacturing easy and reliable, is what this great innovation is all about. Plus, HP also revealed that the printer’s operating system will be like an open structure, giving other developers to expound further the use of its application. This will also give way to revolutionize the advancement of small or medium businesses where goods and parts could easily be made available for consumers. But as much as the entry of HP is very welcome and is giving hope to better 3D printed products, the future of the first-time printer manufactures and start-ups in the 3D technology, is not clear. Competition from HP, which has been in the printing industry for decades, may pose a challenge in terms of quantity and quality. But since competition is healthy and comes with its benefits to the consumer, let’s hope all will be well and each player will be accommodated. 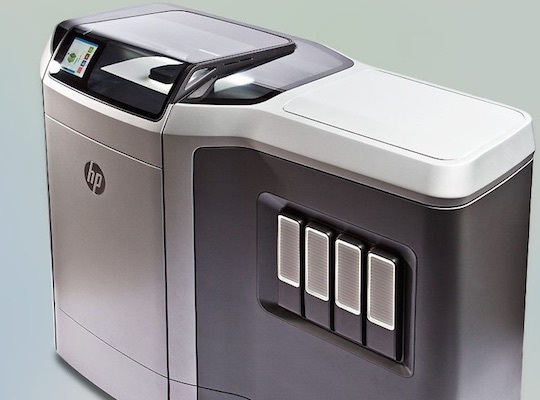 The HP’s Multi Jet Fusion printers might be commercially available in 2016; however, trial products will be available for Beta customers early 2015.